Books: Moon Tides: Gangjeon Naval Base: The Jeju Big Swim's ripple effect. 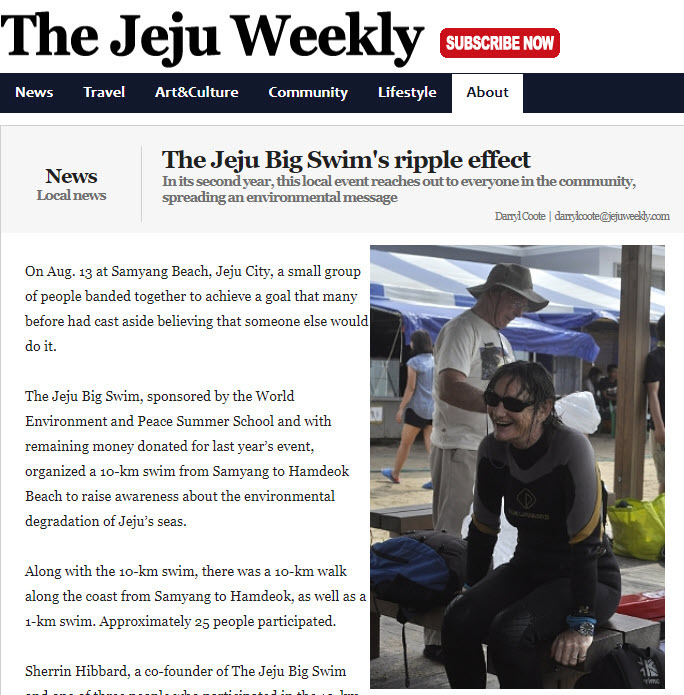 The Jeju Big Swim's ripple effect. In its second year, this local event reaches out to everyone in the community, spreading an environmental message. Click for the entire article.